Yeah I have two profiles on my system but my understanding was that I couldn’t simply use my US credit card to make Japanese games purchases using the system itself. Awesome, I have an amazon jp account. Thank you! So new Switch owner and wondering if anyone has recommendation for must have or cool accessories. Obviously screen protector is a must, and I'm thinking of snagging a Pro Controller at a good price. Anybody have favorite accessories they would recommend to improve usability, portability, etc.? I really like the 8bitdo super Nintendo/famicon controllers more than the pro, but that that will be personal preference. No worries, I am just lucky I can buy them local. Has anyone done this? Am I correct in my thinking? I haven't done it myself but I highly doubt save games are tied in any way to game licenses, they're tied to the user account. Otherwise it would mean you'd lose your saves if you move a user to another Switch for every physical game (uses same saves as digital). I’ve got a problem with my Switch, it doesn’t recognize my Ugreen Ethernet Adapter after waking up from sleep. Has someone had similar problems? I have two accounts on my system, states and Japan. You can switch between regions on one (on PC also even though it does affect the console) but I just figured it be simplier to just have two accounts. AS you can just go between them on the console. I see thanks, gonna order my console tonight so I can have some holiday fun with friends! Question about the family membership: is it mandatory to save your credit card information if you were to purchase it? I would prefer to use eShop credit to purchase but the FAQs seem to indicate that credit is required to pay for it. Or is it that despite the auto-renewal being on, you can immediately switch it off and then use eShop credit as usual? So my kid just won a switch through the lunchables contest (hooray, free stuff!). We already have one so I was planning on making one my switch with the more adult games while he has the one hooked up to the TV for pokemon, Minecraft, and Mario party (he is only 5 so I'm still running most of his games for him). How easy is it to share games between switches? Will I have to re-purchase digital games? Most first party stuff I have on cartridge so other than saves it isn't a problem (I can copy my Mario odyssey, versus rabbids, and Mario cart saves over to a new switch, right?) and so far the digital stuff is mostly mine. And the contest gives us Mario party, which I've already bought him for xmas. Is there a need for 2 versions? I see that there are a few game modes that use 2 switches, but I'm unclear if they require 2 versions of the game (I'm assuming they do, just like playing Mario kart on 2 switches, correct?). It does requires credit to pay for it. But I can at least confirm that your are able to switch cards after the initial subscription as I changed from my credit card to a debit card. And you can keep loading eShop credit into your account as you please. - The initial subscription mandates credit card payment (and doesn't allow eShop credit? - After the initial subscription, is there an option to use the eShop credit? Unfortunately digital content cannot be shared easily across multiple Switches. Whatever you activate as the Primary system only then all users on that Primary system has access to digital stuff (they must of learned what happened with PSN game sharing). 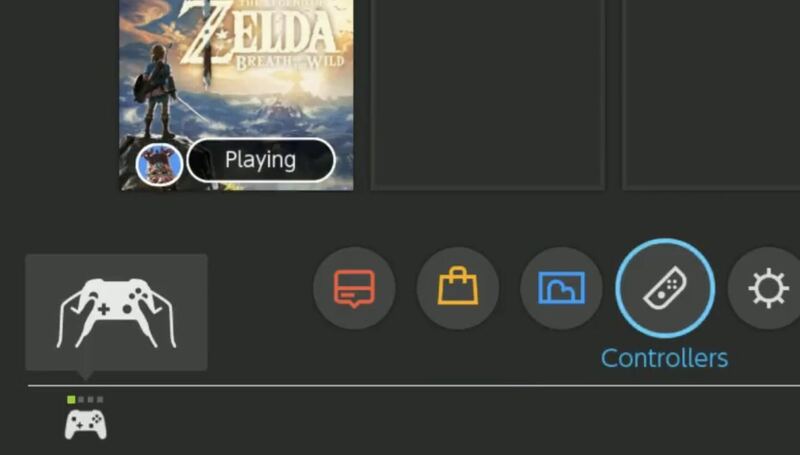 If you sign into another Switch you can still access your stuff and download it and play it but only the user that purchased it, not other accounts unless it's on your Primary Switch. If you purchased a game on one Switch but want another user to access said content on a second Switch then you can't. They will have to rebuy the content again. I'm not sure if that applies to DLC as well. Does nat type impact download speed? Hey guys can a account be activated on two switch at same time, like not right at same time but both in use ? Yes, one will be primary and another one will not and will need to be online to be able to play the games. Nope, NAT type only relates to establishing peer-to-peer communication in multiplayer games. Getting a switch for Xmas. Already ordered a screen protector, carrying case and Diablo/mario kart. Is there anything else I need to get the most out of my switch? Do i need a seperate dock or is the kickstand good enough? I plan on maybe taking it to work for lunch, but not traveling with it for long periods of time. Thanks. Looking into Nintendo Switch Online it looks like I should be able to port over some stuff to the new switch under my account (mostly saves for my games and more adult digital downloads) while the original switch with my account and one for him should play everything. It'd be nice to be able to play something like Minecraft or grind old battles in rabbids over lunch and then have it copy over to the home switch. Looks like for some games this ought to be possible via cloud saves from NSO. A screen protector is all you need. With one, you can really just throw your Switch in a bag, sans case. If you're going digital, you'll want to pick up a decent-sized mSD card (you can get up to 200GB for cheap, and 400GB for <$100 on sale). Even if you're going physical, you'd benefit from a mSD, since larger AAA games often require sizable downloads beyond the cart. I personally love having either another pair of joy-cons or a pro controller, so I can always have one charging for docked play, instead of having a situation where I'm playing docked but my joy-cons die, forcing me to switch to handheld. You can purchase codes at any store just for Nintendo Switch Online, separate from Nintendo eShop Credit. I cannot answer the rest of your questions because I haven't gotten NSO. Is that just for a family membership? I'm trying to figure out if you can just pay for a one-time 12 month individual with only ehsop credit, but can't find it for certain. Anyone from Aus/NZ know if UK digital codes work for us on Switch? Often we're lumped in together so wasn't sure. Was thinking of importing Torna but I'm worried the code that comes with it wont work on my NZ account. You should be able to change your region (at Nintendo.com), go to the eShop, redeem the code, then change it back. I did that for a game I bought digitally from Amazon Japan a few weeks ago. I'm new to the Switch party! If I wanted to play 4 player Mario Kart, what's the best controller solution? 1 Switch Pro, 8bitdo wireless receiver to use one of my other controllers, + the 2 joycons? Is there any way to use more than 1 non Switch native controller with the machine? I always have to laugh with that creepy icon of a controller with legs(?) on the bottom left of the home menu, what does that even mean lol? Do you mean the icon of a controller with two hands holding it that is indicating how the controller is being held? Like, it shows the pro controller, or two JoyCons in a grip, or two JoyCons paired without a grip, or a single JoyCon. It's to show which controller is player 1. So what am I looking at, a FROM switch exclusive incoming? Got my switch... now what are some recommended games lol. I went in on this out of impulse like a moron haha. Get a Switch Pro Controller trust me. Got Pokemon Let's Go with it, so I'll be playing that for a few days. I'm hoping there is an eshop sale for christmas so I won't be buying anything just yet I don't think. Maybe the Capcom Beat um Up bundle. Browsing the eshop is a bit too much so I'll be looking through the website and maybe some other recommendations too. For now grabbing demos and Warframe. Played a ton of warframe before having to put it down for my own social life's good lol. But now I wanna try it again on a console. Diablo 3 is also tempting but $60 is too much atm. You can transfer your PC account to the switch. You pretty much just posted my Switch library. Good list! By the way, is there a way to see what games you've registered for the gold coins? Absolutely super jealous of all of you being able to purchase Katamari Damacy right now! Everyone should buy Hyper Light Drifter as well. After trying it on controller/joycons I probably won't do that lol. I like the game but just gonna mess around for now. Also very interested in Ocotopath but want to get a bit further in Persona 5 before I drop another JRPG on myself. It copies, doesn't move. Also turn on gyro aiming. 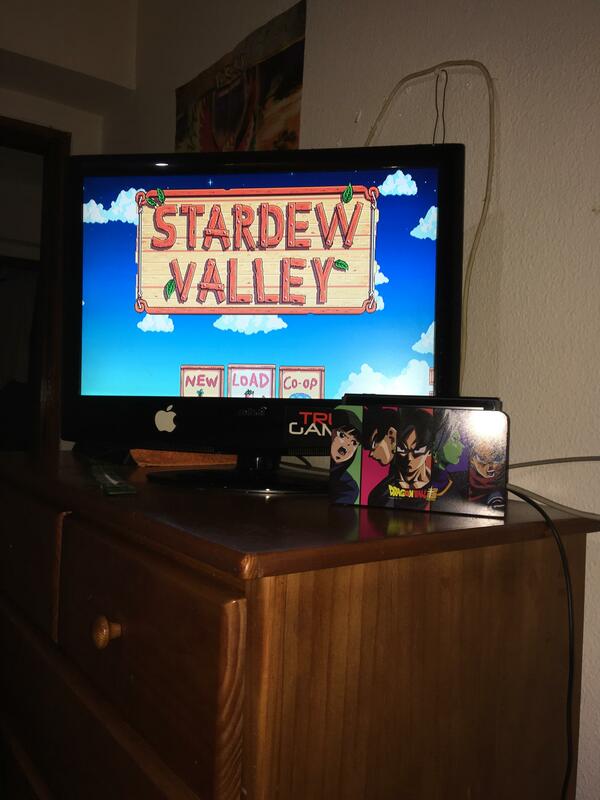 I actually only play on switch now if I do. Is there a way to change my online ID? Or is this a PSN situation where you're stuck with your first name? Ohhh cool beans, so it just makes a copy of the account but they exist separately. Neat. Your Switch ID is actually numerical (the friend code) so you can have any screen name you want and you can freely change your name whenever you want. This also means that when you add somebody to your friends list, you give them that number (or use Twitter, or Facebook, or select them from the "recently played with" list). Your Switch ID is actually numerical (the friend code) so you can have any screen name you want and you can freely change your name whenever you want. Your identity actually goes deeper than the friend code because you can change your friend code, too. Well, somewhat. You can have Nintendo reissue you a code, it's not something you can generate user side.